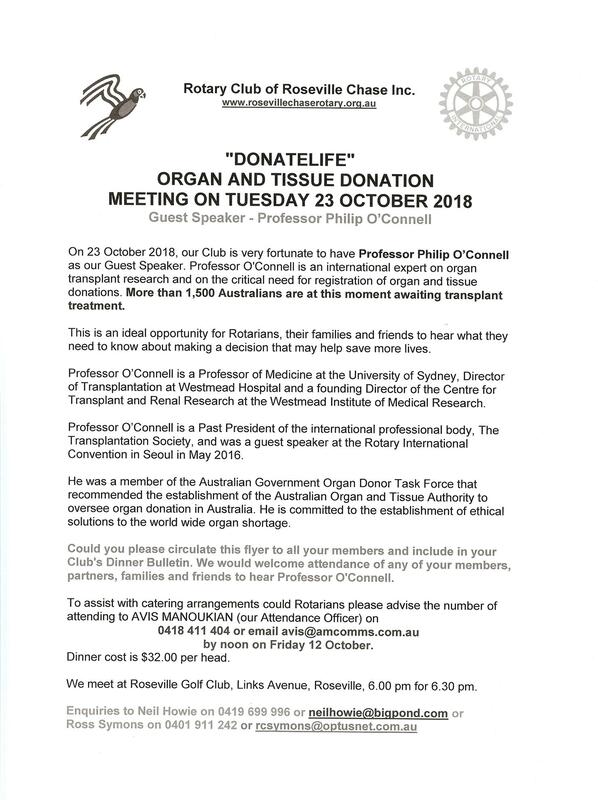 the Rotary Club of Roseville Chase, has a presentation by Prof Philip O'Connell on 'Donatelife', Organ and Tissue Donation. More than 1,500 Australians are at this moment awaiting transplant treatment. This is an ideal opportunity for Rotarians, their families and friends to hear what they need to know about making a decision that may help save more lives.